Professor Darzi holds the Paul Hamlyn Chair of Surgery at Imperial College London where he is Head of the Division of Surgery. He is an Honorary Consultant Surgeon at Imperial College Hospital NHS Trust and The Royal Marsden. He also holds the Chair of Surgery at the Institute of Cancer Research. Professor Darzi studied medicine at the University of Dublin and qualified from the Royal College of Surgeons of Ireland. He obtained his fellowship in Surgery from the Royal College of Surgeons of Ireland and an MD degree from Trinity College, Dublin. He was subsequently granted the fellowships of the Royal College of Surgeons of England, the American College of Surgeons, the Royal College of Surgeons and Physicians of Glasgow and the Royal College of Surgeons of Edinburgh. In recognition of his outstanding achievements in research and development of surgical technologies, Professor Darzi was elected as an Honorary Fellow of the Royal Academy of Engineering and a Fellow of the Academy of Medical Sciences. 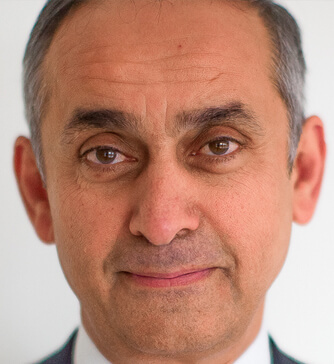 Professor Darzi has been instrumental in the safe and systematic introduction of both advanced robotic and laparoscopic surgery in surgical practice in the UK. Research led by Professor Darzi is directed towards achieving best surgical practice through both innovation in surgery and enhancing the safety and quality of healthcare. Professor Darzi and his team are internationally respected for their innovative work in the advancement of minimally invasive surgery, and in the development and use of allied technologies including surgical robots and image-guided surgery.